The state of Palestine on Wednesday was officially welcomed as a member of the International Criminal Court (ICC) in a move many hope will be the first step toward justice after the prolonged occupation and last summer’s attack by Israel. During a ceremony at the Hague in the Netherlands, Palestinian Minister of Foreign Affairs Dr. Riad Al-Malki was presented the Rome Statute to symbolize the state becoming the 123rd party to join the court, which is charged with prosecuting the most serious crimes of concern to the international community..
Now that Palestine has become a sworn member of the court, the ICC has the authority to probe and prosecute alleged war crimes, crimes against humanity, and genocide in the West Bank, Gaza, and East Jerusalem. 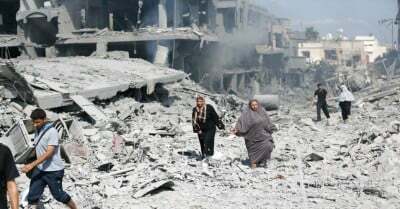 Ahead of their formal joining, the Palestinian government on January 1 lodged a declaration, granting the court jurisdiction over events dating back to June 13, 2014 in order to cover the 2014 war in Gaza. On January 16, ICC prosecutor Fatou Bensouda opened a preliminary examination into the situation. 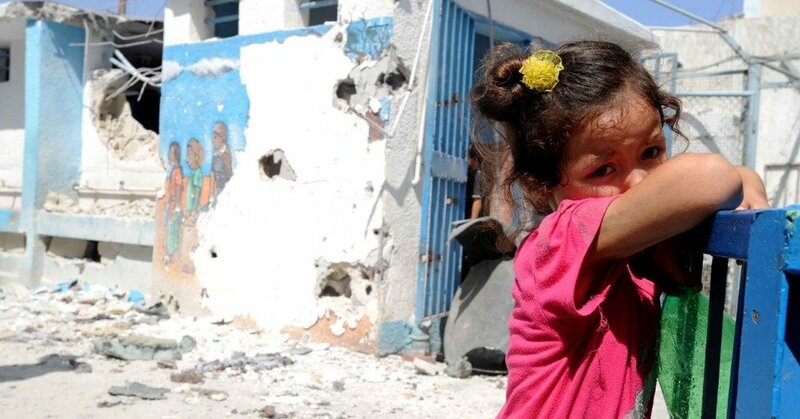 The 2014 war in Gaza killed an estimated 1,500 civilians, including over 500 children. Further, more than 100,00 Palestinian homes, as well as hospitals and other critical infrastructure, were destroyed. A child stands in the aftermath of a shelling in Jabalia, Gaza. An estimated 500 children were killed in the 2014 attack. (Photo: Shareef Sarhan/UNRWA Archives). Ryan Goodman, professor of human rights law and co-editor of the Just Security blog, notesthat settlement-building is a particularly important issue for the court “because unlike other war crimes charges, Israel will not be able to mount a successful challenge to the Court’s jurisdiction by claiming that it is conducting its own criminal investigation of such actions.”ICC prosecutors are also examining Israeli settlement-building the West Bank. The court treaty defines the “transfer, directly or indirectly, by the Occupying Power of parts of its own civilian population into the territory it occupies” as a war crime. Palestine’s bid to join the ICC faced strong opposition, namely from the United States and Israel. U.S. President Barack Obama signed into law an appropriations act that would cut off aid to the Palestinian Authority if the “the Palestinians initiate” or “actively support” an ICC “judicially authorized” investigation “that subjects Israeli nationals to an investigation for alleged crimes against Palestinians.” Further, from January to March of this year, Israel withheld roughly $400 million in tax revenue in response to the decision to join the ICC. International human rights group Human Rights Watch issued a statement condemningthe bullying tactics and calling on the international community to support Palestine’s decision. “Governments seeking to penalize Palestine for joining the ICC should immediately end their pressure, and countries that support universal acceptance of the court’s treaty should speak out to welcome its membership,” said Balkees Jarrah, international justice counsel at Human Rights Watch. Bensouda said that the court will be examining crimes committed by both Israel and Hamas, which has been accused of indiscriminately firing rockets into Israeli towns. “We will be looking at alleged crimes committed by all sides to the conflict, in total independence and impartiality, and without fear or favour,” she said.